Today is bittersweet in our house. Today is the end of NFL for the season. We truly love our football time, especially Sundays. We veg all day and enjoy the games. My hunka hunka and I don’t care who is playing, just so there is a game on the TV. Now…don’t get us wrong, we have our teams we are partial to, but we love football for love of the game. My hunka hunka is still not over the Saints-Rams playoff game. (Sorry, baby) But the game today will still be a good one. Brady haters remind me of IU Hoosier fans. They hate winners. They don’t care as much about who is winning, it is all about who is losing. You can say anything about Brady did this and Brady did that. Good lord…every team has done ‘something’ to benefit themselves. Gets old. I honestly get so tired of hearing “deflategate”. I remember weeks after that occurred, Trent Dilfer said in one of the commentaries to, “get over it and let’s talk about today’s game.” Exactly…people need to move on. Just exhausting how much people put others down constantly. Sore losers in every aspect, and I’m not just talking about football. Today is about greatness. Brady will make his 9th appearance at the Super Bowl today. This is the most for any NFL team. Brady stands alone in this greatness. People will talk smack, but it is what it is. Haters will continue to hate, but Brady is the one sitting back with all the rings on his fingers. Love him or hate him, he’s one of the best. I had such an honor to watch him play in November. That was truly a dream come true for me. Even though Brady seemed to not show up at the game, I was still in awe of the greatness on the field with Brady and Edelman playing and watching Belichick coach from the sidelines. Let’s leave out the fact that the Gronk punk didn’t play. I’m still not over that. I got to see my Brady up close and personal! LOVED IT! With the greatness of the Brady-Belichick era, one cannot count out the Rams. This team are rookies in the game of the Super Bowl with Sean McVay, but they have nothing to lose. Sean McVay is the youngest coach, just turning 33 last week, to coach a Super Bowl team. My hunka hunka calls him my boy toy. Any time he’s on the TV, he’ll say, “There’s your boy toy.” I cannot deny how much of a doll he is, but I love the heart and the energy he has brought to the Rams. I wish Cooper Kupp was playing today because I love saying his name. I know his heart will be with the team as he watches from the sidelines. No matter who wins or loses today, let’s pray for safety for the players. Have fun. Make history. My hunka hunka and I will indulge in pizza, wings, and cheesecake. I’ll finish my wine and drink a couple of Michelob Ultras. Toughest part in the game is somebody has to lose. However, to get to the Super Bowl already makes you a winner in my books. Hope everyone has safe fun today in celebrations full of fun, food, and football. I know we will be enjoying our goodies today. 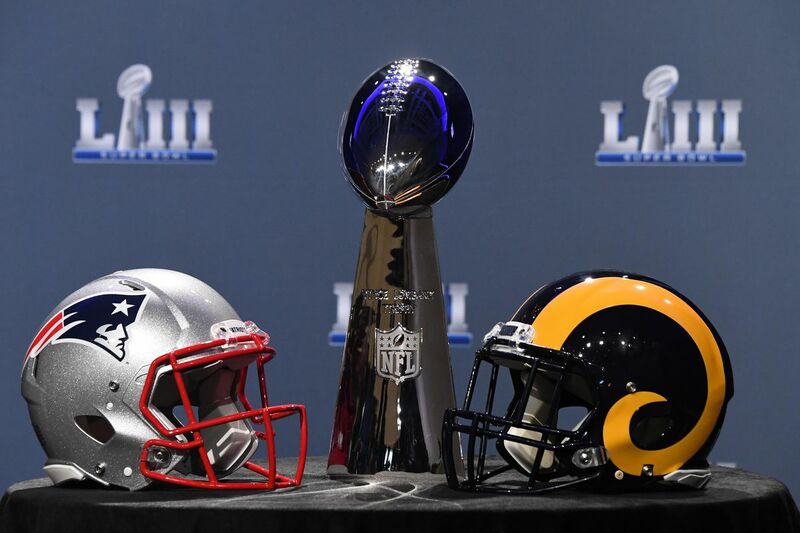 Good luck to the Patriots and the Rams. Until next season…Peace Out, Trout!